Wonderful south facing panoramic position in Dorf Tirol, large well-being oasis with indoor and outdoor pool, exquisite cuisine, in-house tennis court and extensive activity offer. Welcome to the Panorama Vital Hotel Rimmele****S in Dorf Tirol! 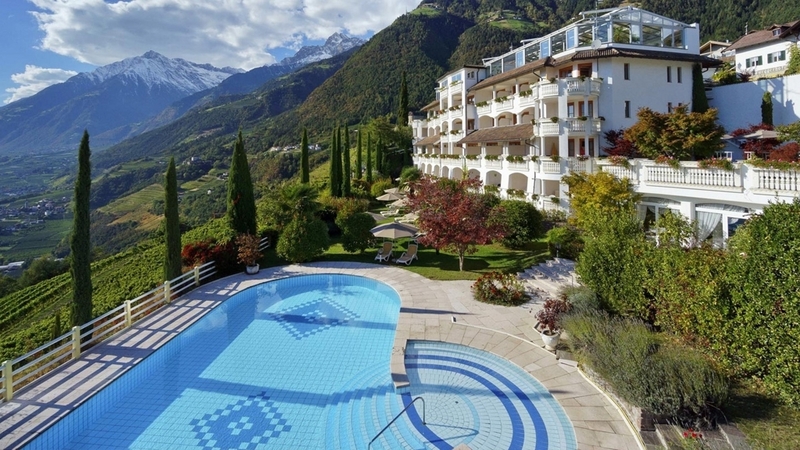 Our First Class Panorama Vital Hotel Rimmele in Dorf Tirol is located in the village’s most beautiful south facing panoramic position and offers a magnificent view over the city of Meran. Enjoy the sunny side of life, relax in our well-being oasis and get pampered by our delicious vital cuisine and the attentive service. Our guests are offered comfortable De-Luxe rooms with any comfort and south facing panoramic balconies. You can enjoy the variegated breakfast on the fifth floor on the panoramic terrace or in the palm tree conservatories with 270° view. In the afternoon, we offer a coffee break with cakes, snacks, fresh fruit and vitality juices. At dinner, we indulge you with 5-course-menues of your choice, as well as with crisp vital salad, cheese and fruit buffets. Our convivial theme and speciality evenings are loved among our guests. On request, we serve diet meals every day. Our wellness oasis with adventure indoor pool (28-30°C), panoramic outdoor pool with children’s pool, 2 fresh water whirlpools (37°C), Finnish sauna, steam bath, vitality corner with fresh fruit, teas and spring water, fitness room and much more is ideal for dreamlike moments of relaxation and regeneration. As well, we offer an exciting fitness program and soothing massages and beauty treatments. In summer, our little guests may look forward to the Kids Club with childcare and to the petting zoo with Haflinger horses, donkeys and lamas at the Gampenpass. Sporty guest can exercise on our tennis court. 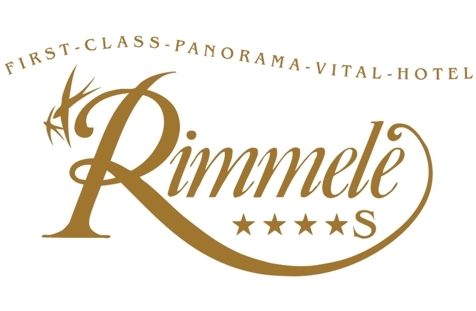 The Panorama Vital Hotel Rimmele is a good starting point for hikes, bike tours and excursions to the most beautiful attractions of the holiday region. Sun, heat and a big pool to dive in, this and much more at our hotel. Come take a look! Hike and explore the best you can with our alpine guide, and when you come back take a break on the terrace while drinking a coffee. Enjoy exploring twice a week the most beautiful hikingroutes with our guide. Törggele is a very old tradition of south tyrol, take part at this tradition.